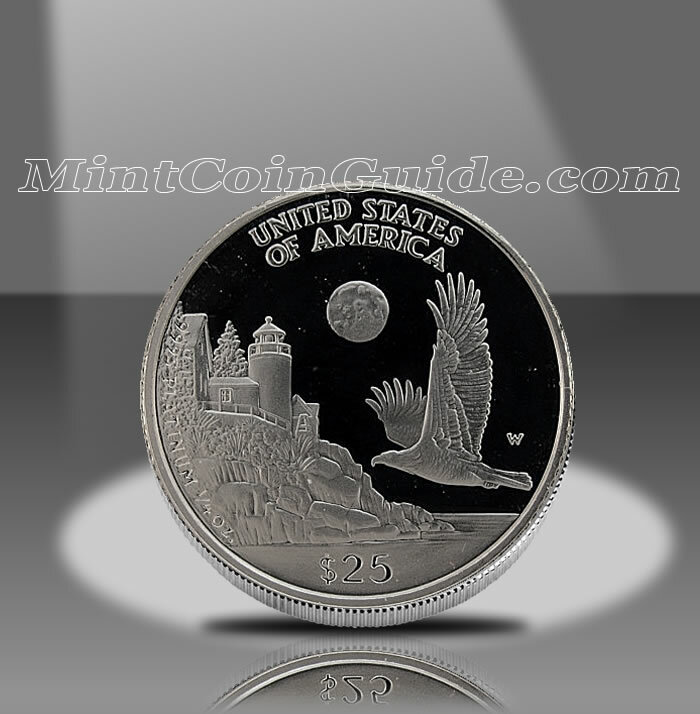 The 1998 American Platinum Eagle Coins marked the second year for the Platinum Eagle Program from the United States Mint. Mintage levels for the bullion coins improved significantly during the year. However, the total Proof Platinum mintage dropped owing mostly to the mintage caps put in place by the US Mint. The market for platinum showed some decline during 1998. The average the previous year came in at $395.23 an ounce for the precious metal, however 1998′s average only managed to attain $372.15. This was a decline of 5.8%. With a full year of availability from the US Mint for the Bullion Platinum Eagles, the mintage for the strikes improved compared to 1997. That previous year, the coins were only sold during the last few months. Proof Platinum Eagle mintage dropped from the previous debut year but still managed to attain over 99% of the mintage caps put in place on the strikes from the Mint. The chart below shows the total mintage of 1998-dated Proof Platinum Eagles which includes the number sold as part of the Platinum Eagle 4-Coin Set (of which 9,926 were sold). The 1998 Platinum Eagles were the second year in which the US Mint produced the Platinum coins. The US Mint released the Proof Platinum Eagles on June 5, 1998. Bullion Platinum Eagles were sold through the Mint’s network of authorized purchasers for most of the year. 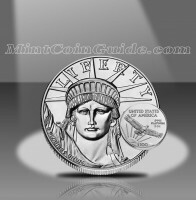 The Proof Platinum Eagles were sold by the US Mint for the same price it charged for the strikes the previous year – the Ounce Platinum Proof Eagle sold for $695, the 1/2 Ounce Platinum Proof Eagle for $395, the 1/4 Ounce Platinum Proof Eagle for $199 and the 1/10 Ounce Platinum Proof Eagle for $99. The Four Coin Set sold for $1,350 and the Liberty 3-Coin Set sold for $1,499. Bullion Platinum Eagles were available from the Mint’s network of authorized purchasers for a small premium above the current spot price of the platinum contained within them. The Proof Platinum Eagles carried a different reverse design than the bullion strikes. While the bullion retained the same flying eagle that was used on the debut 1997 strikes, the proof coins contained the first of five new annual "Vistas of Liberty" reverse designs. These new images showed a bald eagle in different locations throughout the United States. Each Proof Platinum Eagle was struck at the US Mint’s facility in West Point and shows the appropriate ‘W’ mintmark. John Mercanti’s "Portrait of Liberty" is featured on the obverse (heads side) of the Platinum Eagles. The reverse (tails side) of the bullion Platinum Eagle shows Thomas D. Rogers Sr.’s "Soaring Bald Eagle." The reverse of the Proof coins has Thomas D. Rogers Sr.’s bald eagle flying above a New England landscape, complete with a lighthouse.